It always surprised me that Miami doesn’t have a ton of mini golf courses like all the other Florida tourist attractions. In fact, I’ve never seen even one. Until now, that is. 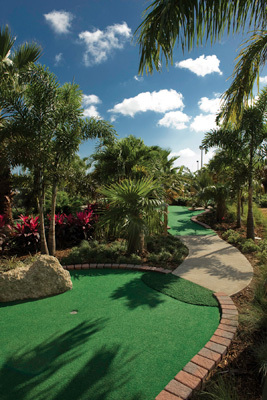 Palmetto Golf Course has mini golf now sans tacky pirates. And at $6 & $7 a person, it’s downright affordable. Check them out while the weather’s still nice and before the summer months when they often have summer camps bringing busloads of eager kids for a game of mini-golf. This entry was posted on Monday, March 15th, 2010 at 8:55 am	and is filed under 365 Things To Do In Miami. You can follow any responses to this entry through the RSS 2.0 feed. Both comments and pings are currently closed.